ETTU Hopes Selection Camp is underway in Luxembourg. Tradicionaly, good conditions attracted a lot of participants. This time the rekord is broke with 41 players (20 girls and 21 boys) born on 2007/2008 and 2009/2010. There are players from 15 countries, working under guidence of 19 coaches. Also, there are six players from China helping with sparing. 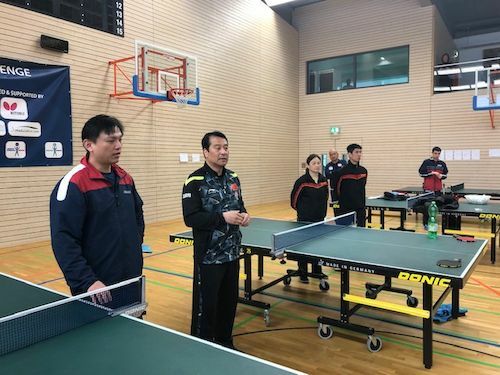 Martin OSTERMANN and XIA Cheng from Luxembourg TTA are in charge with organisation alsongside four coaches from China: CHEN Bin, LIU Jia Yi, WANG Yan and ZHENG Chaoying. Six best rated players, three boys and three girls, will be nominated for the ITTF Hopes Week and Challenge and for Final Eurotalents Selection Camp in Slovenia’s Otocec in October.